Sadiq Umar joins Glasgow Rangers…. Nigeria striker Sadiq Umar have become Steven Gerrard’s ninth signings as Rangers manager. He has joined the Ibrox club on season-long loan deals, subject to international clearance. 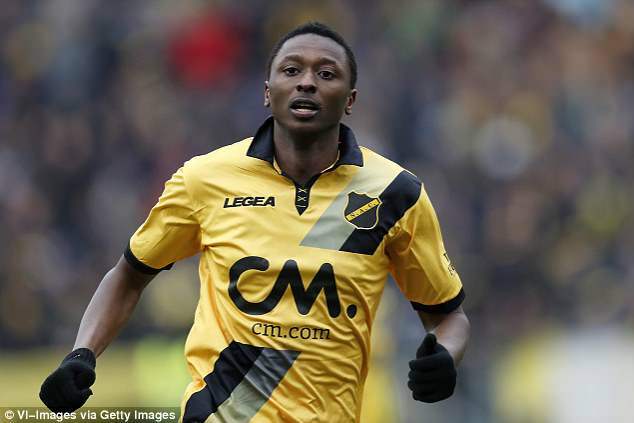 Umar, 21, has been loaned out by Roma, having spent time with Dutch outfit NAC Breda on loan last season. Umar was a member of the Nigeria squad that earned bronze medals at the 2016 Rio Olympic Games. After joining Roma in 2015, he was loaned out to Bologna and Torino, and scored five goals in 12 outings during his six-month stint in the Dutch Eredivisie last term. Umar has amassed six appearances for his parent club, netting twice. “Gerrard told me about the team, the players, he said everyone will help me if I came here and he will help me go forward in my career, and you don’t have to think twice when someone says that to you,” Umar said. ← Lucas Torreira joins Arsenal….